Sun-drenched weddings are no longer reserved for the summer months, why not keep the outdoor wedding trend going and take your big day outside under the vibrant canopy of autumn leaves. Setting your wedding against the breathtaking fall backdrop can create a romantic and organic atmosphere that your guests will not forget. If you’re aiming for a truly rustic feel, be quirky and try seating your guests on hay bales. It’s a relatively cost-effective and versatile option that can look very in keeping with the harvest style of the season, take a look for yourself! If you are planning to set your autumn wedding outdoors, there is often one constraint with our British climate – that unpredictable weather! Don’t lead yourself into a false sense of security and think that here in England we are blessed with dry days. Don’t let anyone rain on your parade and instead secure your seasonal soiree is to be prepared and always have a backup plan! A nice idea is to use umbrellas as wedding favours, putting them under your guest’s seats during the ceremony in case of downfall. Also, ensure that you have an indoor room or tent/ marquee available to use if things do turn to bleak or it gets cold in the evening. Another on theme idea for the evening portion of your wedding day is to use fire pits to keep your guests cosy and warm well into the night. They make a great addition to your decor and you could even put out marshmallows for your guests to roast over the crackling flames – who can resist S’mores! Set the vibe of your fall festivity with autumnal tones in your wedding fabrics. Celebrate the autumnal colour palette by incorporating the season’s vibrancy in your bridesmaid’s dresses, tablecloths, napkins, chairs and so on. Think maroon, burnt orange, mustard, navy, forest green, berry, and walnut! These rich tones can create a bold and striking look and fit well with your autumnal wedding photography backdrop. Gingham fabrics are also a great addition if you are going down the more harvest festival esque autumn look. Follow this theme with your florals as well to create a colour scheme to die for. Pumpkins aren’t just for Halloween! Use this overwhelmingly autumnal staple in a romantic wedding day appropriate way by turning them into decorative displays. Use them within the floral arrangements of your ceremony or as table centrepieces. You could even opt for them to be carved with your initials, wedding date and ‘just married’ slogans. There is endless pumpkin decor inspiration online which will make your autumnal senses scream. They can also be incorporated into the cuisine of your big day with fan favourites including pumpkin soup and pumpkin pie. Seeing as it is the season of Guy Fawkes, light up your wedding in true bonfire night style with all the sparkle! Hoist fairy lights into a canopy over your wedding dinner to create the illusion of a starry night. Another lovely idea is to give your guests sparklers when the day turns to darkness to give everyone a truly sparkling send off at the end of the night. To keep your wedding food in keeping with your autumnal theme a fun trend is to set up a DIY toffee apple bar for the dessert portion of your dinner. Candy apples are a fall staple and creating this fun and unique DIY experience is a great idea to get everyone at your wedding talking. There’s plenty of tutorials online and this is guaranteed to be a hit for the kiddies and parents alike! 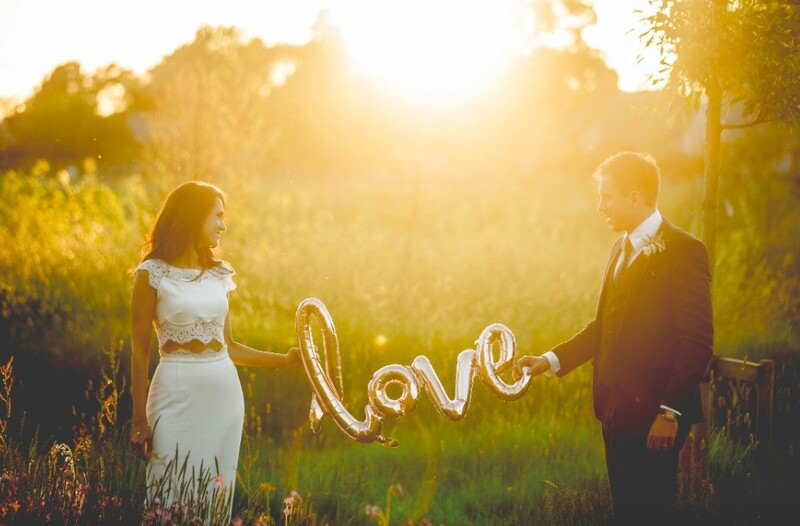 If an autumnal wedding is the fairytale theme you have been searching for, the team at Le Petit Chateau are more than happy to assist you in making this dream come true. See our full site for all our wedding options or contact us today to enquire about your special day.